The holidays bring about laughter and happy memories. As your guests bring with them eager excitement for food, friends and family, and good times, do not let your home hinder you from joining the fun. Prepare and equip your home this holiday season so you can leave the stress and worry behind you. Our team offers expert pantry closet design for your Boston kitchen to house everything you need for your upcoming events. The word, “de-clutter” may cause you to cringe, but there is no need to worry. With a few easy steps, you will have your spaces freed of unnecessary, space-wasting items. Grab a trash bag or a cardboard box and throw the clutter away, or sort through it and donate to a local charity. Focus on the main areas of the house that collect clutter, which is often the living room, kitchen space, bathrooms, and bedrooms (especially closets) and the garage. Deep cleaning can reveal a new home, regardless of how minuscule it may seem. In order to style, decorate, and accommodate guests, your home has to be clean and fresh. Focus on the main areas that attract and hold dust and dirt. Then there is the organizing. Starting with the Kitchen, make sure your pantry and your drawers and ready for the major holiday cooking that is about to take place. Spices should be placed for convenience, and baking tools should be displayed for easy access. Learn more about storage solutions we can help with any kitchen pantry organizations adjustments that may need to be made. Make sure the guest bedrooms are organized and ready for your guests to place their belongings. Bedroom closets should have plenty of shelving and ample hanging space. Whether it is a reach-in closet or a custom walk-in closet, we can install storage solutions that make the most of any space. Storage solutions can help you keep your Boston home bedrooms organized. If there are any updates that need to be made before your guests arrive, learn more about how we can help. We make it easier than ever to accommodate friends and family of all ages. Make sure your entertainment center is ready to keep the young ones busy or the family together over a holiday movie. The entertainment center is the hub of the living room and must be organized and easy to enjoy. Make sure the video games and TV controls are where they should be. Learn more about how we can help create a better-organized entertainment center. Finally, stock up on the Necessities. Now that your home is clutter free and organized, you can stock up the home with the necessities. These can include everything from décor to toiletries. To create the perfect holiday destination for your friends and family, stock bathrooms with the basics, closets with hangers, the living rooms with cozy blankets and don’t forget to stock up the pantry with holiday essentials. Your home should be presented with a warm, welcoming glow to kick-off the holiday festivities. 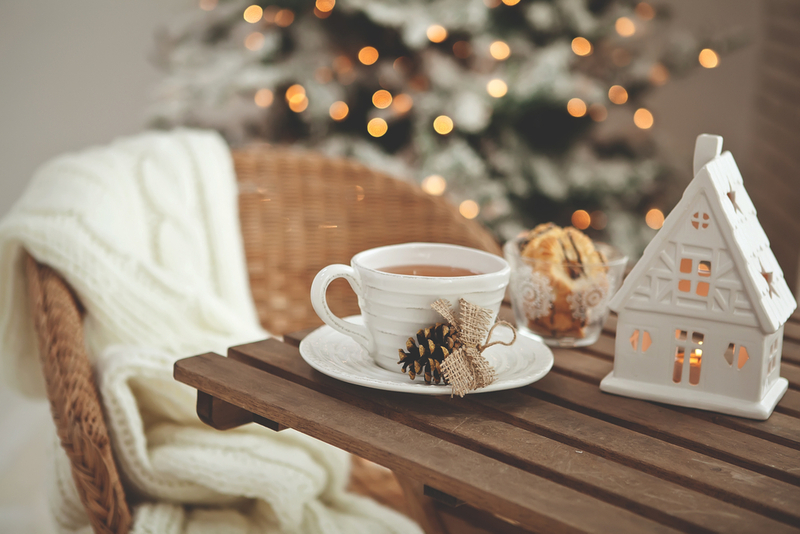 With these helpful tips, you can efficiently get your home ready to be the holiday destination. From de-cluttering to stocking your home with necessities, organization can help you maintain home. Leave your stress behind and create lasting memories with friends and family this holiday season. Contact us today for a free quote or consultation.